The New British Empire: Pop-Culture Powerhouses James Bond and The Rolling Stones both turn 50 this year. As critic John Powers points out, both may have been born in response to a dying British Empire, but their evolving legacies have reflected the times through which these brands have lived. The HBO documentary Crossfire Hurricane, about The Rolling Stones, prompts critic John Powers to reflect on the band's five decades of fame. It seems that every time you turn around, you find another anniversary of some big cultural or historical event. I'm weary of the media's habit of playing all these things up, so I'm abashed to admit I'm about to do just that. But you see, in the same three-day period I recently saw the new James Bond picture, Skyfall, and Crossfire Hurricane, a new HBO documentary about The Rolling Stones. And because the Bond movies and the Stones both turn 50 this year, I began thinking about how they might fit together. After all, half a century on, 007 and The Rolling Stones are still alive and kicking in a way that nobody in 1962 would have ever imagined. And in very different ways, both were fantasy reactions to the decline of the British Empire. James Bond is the loyal servant of a class-bound establishment, a loner who's equal parts swashbuckling heroism and snobbery — he demands his martinis shaken, not stirred, and insists on Sea Island brand cotton. Generationally, he leans back toward the '50s, which was when Ian Fleming first created him. His heroism confirmed his country's continuing power, which made him "the man who saved Britain," to borrow the title of Simon Winder's terrific book on 007. 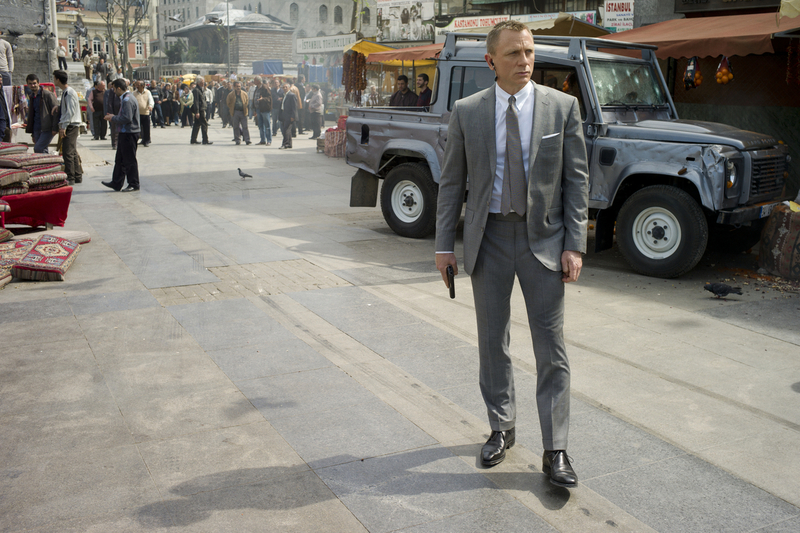 Bond inhabits a moral universe forged by the stark clarities of World War II. 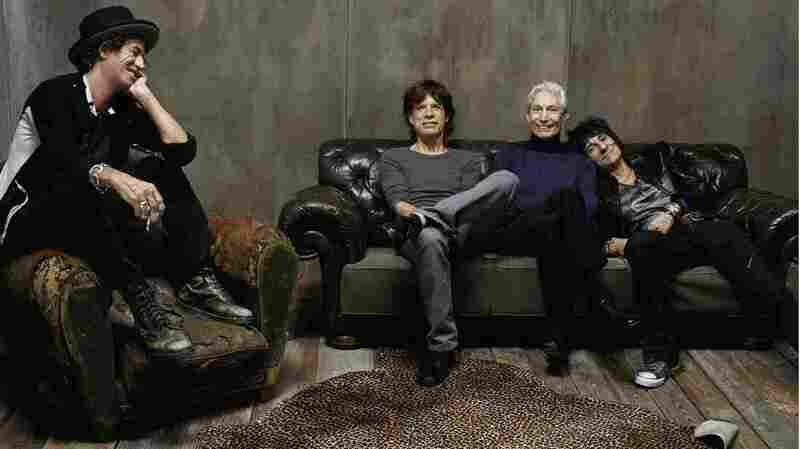 In contrast, The Rolling Stones leaned forward into a more ambiguous era. As Crossfire Hurricane reminds us, the Stones were consciously designed to occupy a less reputable place in the pop zeitgeist. In his three Bond films, actor Daniel Craig has created a portrait of a darker, damaged 007 — evidence of the enduring character's mutability, according to Powers. With their scruffiness, racy lyrics and drug use, the Stones represented the rejection of the social order that Bond was so devoutly defending. Like 007, they too offered a sense of danger, but not in the guns-and-knives way, although that would eventually happen at Altamont. They embodied psychic danger, a Dionysian force flirting with all manner of uncontrollable sensuality and violence. That was their appeal. Of course, one thing Bond and the Stones always shared was a pre-feminist sense of male prerogative. Just as the women in the early Bond movies largely exist to be bedded or killed (sometimes both), so the women we encounter in Crossfire Hurricane are shrieking fans or groupies in various stages of undress. At the same time, the idea of masculinity we find is very different. 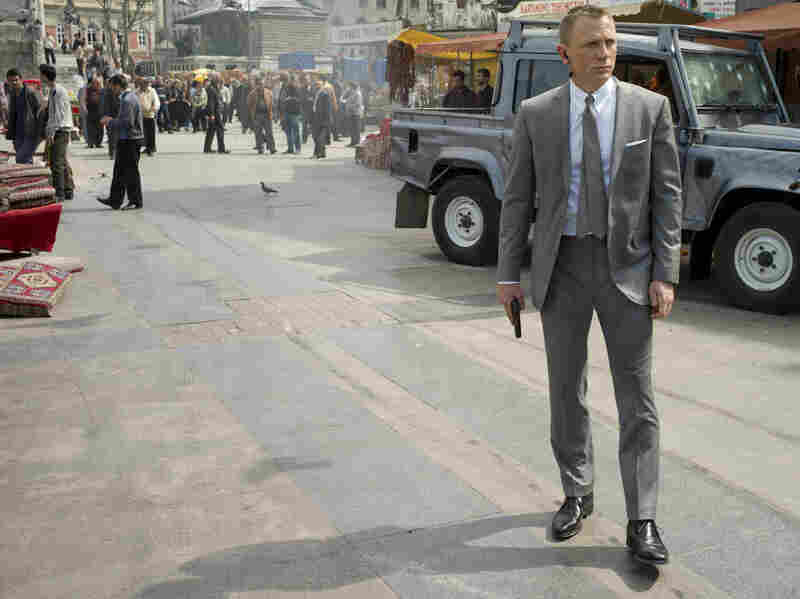 Where Bond has always been the straightest of arrows — Skyfall gets some laughs when the villain comes on all gay with 007 — maleness was always more complicated and modern with The Rolling Stones. This was most obvious in Mick Jagger, whose onstage presence was surprisingly androgynous — think of those weird outfits he skittered around in. His sexual electricity turned on everyone, female and male. This helped make him and the Stones feel current in a way that Bond never really did. In 1962, when Dr. No first came out, nobody knew The Rolling Stones. Six years later, when Sean Connery quit playing 007, the Stones were bigger than Bond. The culture had shifted. People still went to see Bond movies, but they didn't matter to anyone. They'd become the prototype of today's boring blockbuster franchises — bloated and jokey and profoundly square. In contrast, The Rolling Stones had become not simply the greatest rock band of all time, but the darkest, most ferocious band ever to occupy the center of the cultural mainstream. Yet history doesn't stop. 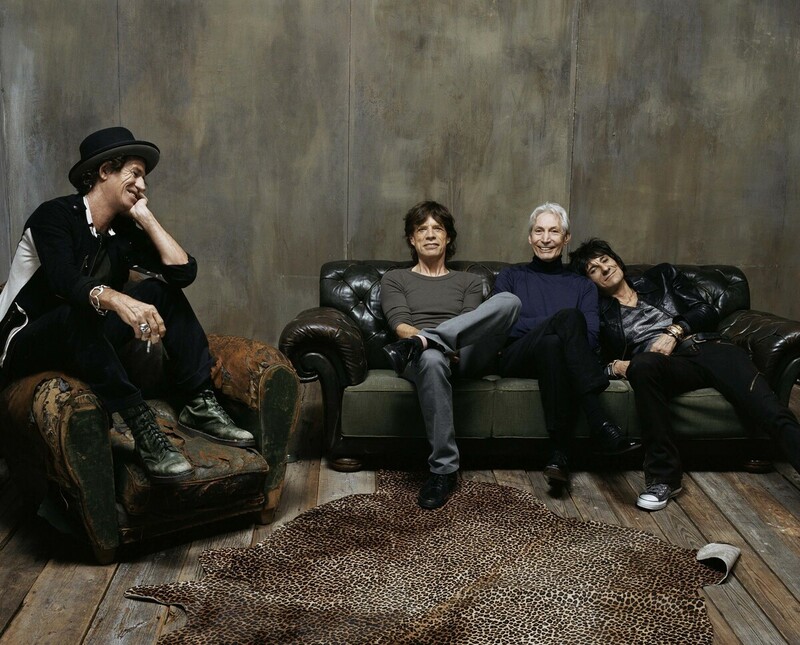 While the Stones have endured, they haven't had that same cultural impact for over 30 years. Their shows are now fun, nostalgic extravaganzas, not flirtations with danger. Meanwhile, the very disconnection from reality that once made Bond feel irrelevant has proved to be a strength. Unlike The Rolling Stones, who are forever the same band, only older, 007 is timeless. Bond can be forever reinvented, reinterpreted, updated. And as Skyfall is showing, he's more popular than ever. Indeed, in our ultra-meta world he's become an emblem of a Britain that knows its true importance lies in its contributions to pop culture. That's its empire now. Just ask the queen why she got in that helicopter with Daniel Craig at the Olympics.